Did you know that the key to alleviating some gastrointestinal disorders could lie somewhere in the body far away from your stomach or bowels? In fact, stress reduction therapy could be the key to your heartburn, stomach pain, or bowel distress. As a regular reader of Doctors Health Press, you know that illnesses and treatments aren’t always what they seem. And more often than not, shifting focus from the condition itself to other influential factors can be an effective way to manage the symptoms of chronic illness and improve quality of life. This may prove true in cases of gastrointestinal (GI) disorders. 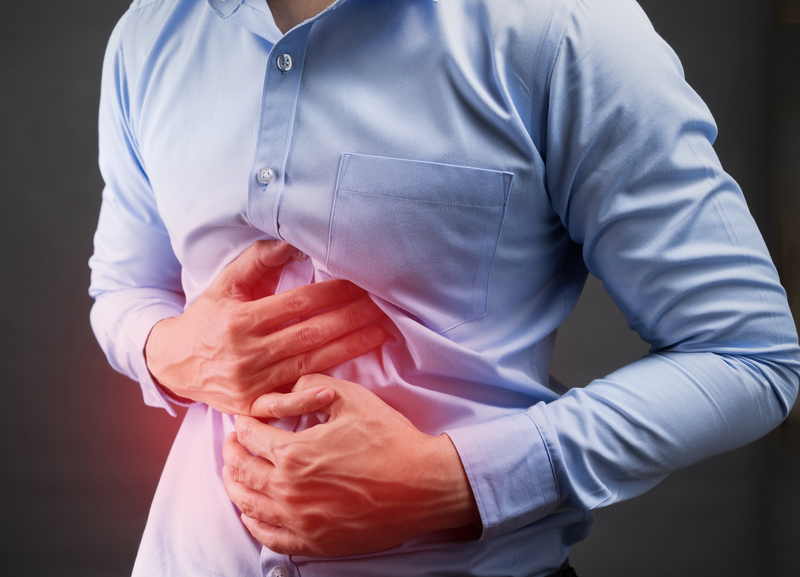 Gastrointestinal disorders include conditions like irritable bowel syndrome (IBS), Crohn’s disease, functional heartburn, functional dyspepsia, and ulcerative colitis. These can be a source of debilitating pain, discomfort, fear, and ultimately a substandard quality of life for many sufferers. But new ways of treating such conditions are gaining traction and, in some instances, outperforming current medication! Health psychologists at the Loyola University Health System in Illinois have been seeing great results by using different forms of stress reduction therapy on patients with gastrointestinal disorders. How Is Stress Related to GI Disorders? The symptoms of certain GI conditions can be triggered and worsened by stress. And when you’re worrying about or dwelling on severe pain, constipation, diarrhea or other symptoms, they can flare up, thereby increasing your stress. By focusing on limiting daily stresses and introducing a variety of coping mechanisms, such as stress reduction therapy, patients can learn to avoid the aggravating, vicious cycle of stress and symptoms. Psychologists at Loyola have come up with some specific behavioral treatments to target the pathways where the brain influences the gut—and doctors say they’ve been working. Using cognitive behavioral therapy (promoting positive thought about the world and self), relaxation techniques like deep breathing, and gut-directed hypnotherapy, patients are reportedly experiencing better symptom management and less severity during flare-ups than they do with medicine. What’s even more impressive is that participants only need about five to seven therapy sessions to learn the techniques, and it’s covered by most insurance plans. Now, although these stress reduction therapies do not cure gastrointestinal disorders, they could vastly improve your quality of life. And it’s something you can easily do at home through practicing mindfulness, deep breathing, and other decompressing techniques. These are often best accomplished in a quiet setting where you can establish a connection with the present, focusing on your feelings and actions in the here and now. If you’re suffering from a gastrointestinal disorder, it’s worth looking into stress reduction therapies especially if it’s covered under your current insurance. “Health psychologists now treating functional heartburn, Crohn’s Disease, IBS and other GI disorders,” ScienceDaily, March 23, 2017; https://www.sciencedaily.com/releases/2017/03/170323141632.htm, last accessed March 30, 2017.